Experience the amazing story of the first African American owned and operated television station in the United States. 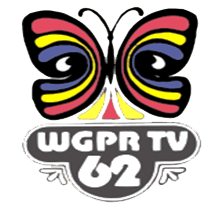 From broadcast pioneer to historical landmark, WGPR provided African-Americans the opportunity to work “behind the camera” in producing, directing and other roles which placed content on air. This event will take guests through a time traveled experience of WGPR history with music, dancers, fashion and mock broadcasts.